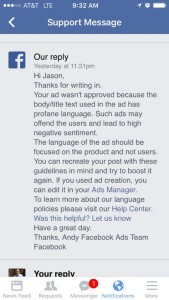 Facebook denied our latest ad request…again. 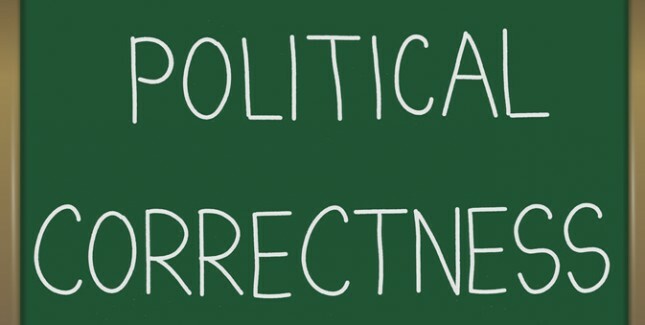 I understand the need to prevent people from using vulgar language or even harmful language, but sometimes the need to be politically correct borders on plain absurd. 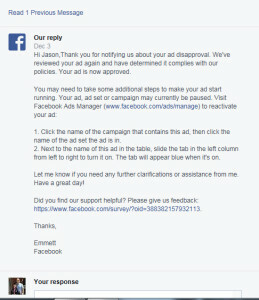 In fact, I wouldn’t even have written this article if FaceBook’s Ad Team provided something more tangible than a copy-paste response. 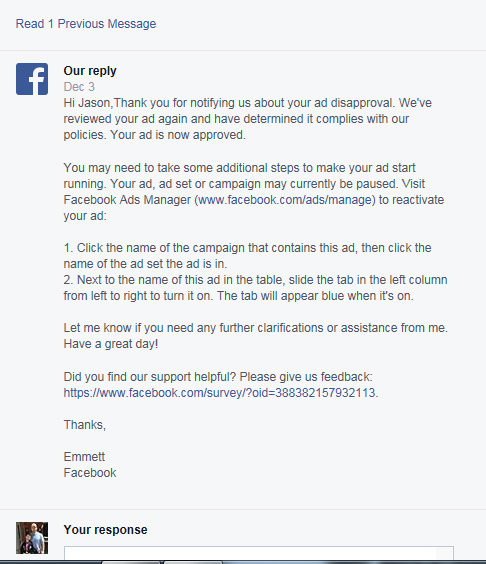 You see, FaceBook’s new policies make it difficult to grow a new page unless you pay to advertise. Fine, it is their platform after all. And their community policies seem to be as completely “PC” as possible, to the extent of not to hurt the feelings of the color blue. Fine, it is their platform. 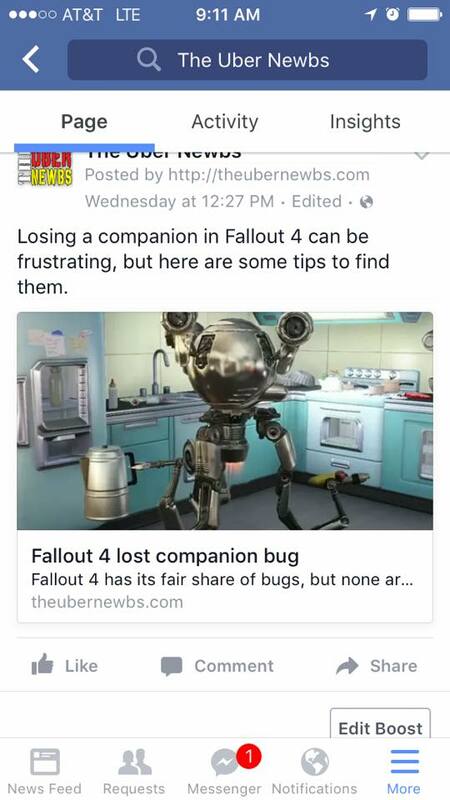 Another stretch was the use of the word “Newbs”. I’m not entirely certain how this could be considered profane, especially when its referring to us, not you or them. If that is the case, it is as absurd as being offend because I might refer to myself as “fat”. Seriously, that offends you? This ad was also auto-denied. At this point I didn’t expect anything less. It was already late in the day on Thursday, December 3, 2015. 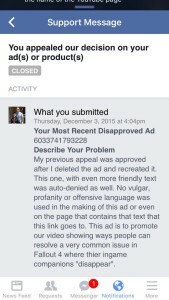 Knowing the review could take a full business day, and suspecting I would just keep getting auto-denied for some glitch in their approval algorithm, I decided to just file an appeal and wait patiently for a human to read it and realize that it did not contain any “vulgar language”. I really wanted to run the ad on a Friday, because lets face it…90% of you spend more time at work on Fridays on Facebook than doing anything else. It is arguably the best day of the week to advertise. So we fast forward to this morning, Saturday, December 5, 2015. To my shock and dismay, I got what appeared to be nothing more than an auto-deny for “vulgar language.” Listen, I’m a U.A. Army Veteran and so is Hagen, we can get vulgar if you want to see vulgar, but really this whole website/YouTube channel is for my 12 year old son, so we try to keep it family friendly. Hi Jason, Thanks for writing in. 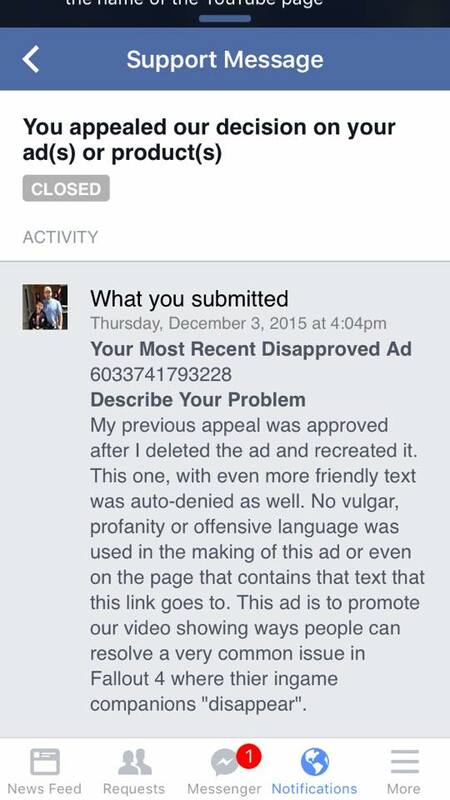 Your ad wasn’t approved because the body/title text used in the ad has profane language. 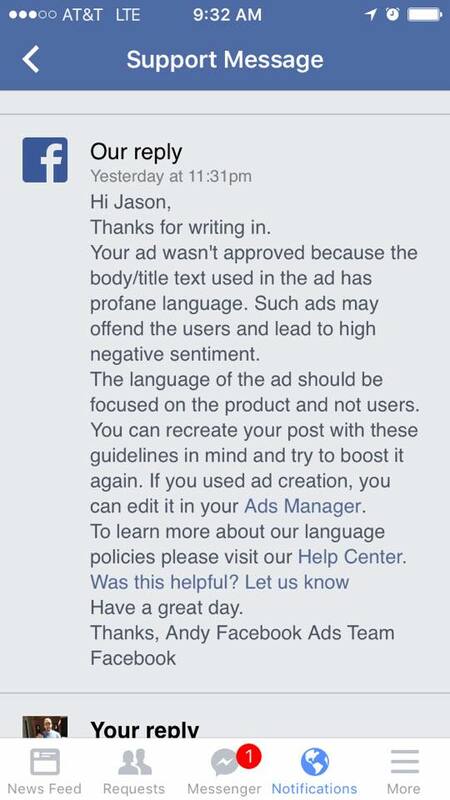 Such ads may offend the users and lead to high negative sentiment. The language of the ad should be focused on the product and not users. 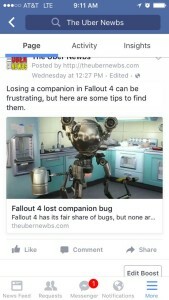 You can recreate your post with these guidelines in mind and try to boost it again…. 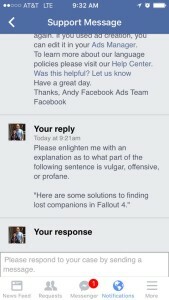 I understand you might have a lot of work on your plate Andy, but if you are going to accuse me of using profanity or vulgar language, I would like a more in-depth analysis than such a vague statement. Mainly because I am attempting to pay for a service that you deny me with little justification as to why.